As the NHS celebrates its 70th birthday, social historian Dr George Campbell Gosling, author of Payment and Philanthropy in British Healthcare 1918-48 takes a look at its significance and how healthcare was provided before its introduction. As a nation, we’re justifiably proud of our beloved National Health Service. And the pride we take in the NHS, providing healthcare regardless of wealth or circumstance, is undoubtedly us at our best. But the NHS actually means more to us today than it did when it was introduced. At the time it was just one of the changes being made by Attlee's Labour government. Many were sceptical, many more ambivalent. It was only when a major committee surprised the Conservative government in 1956 by finding the NHS an incredibly efficient health service, and they felt obliged to maintain it largely as it was, that it really bedded in and became familiar to the British public. There were plenty in 1948 who thought the establishment of the NHS was the state going too far. Life pre-NHS was very different but the most dramatic change the NHS made to most people's everyday lives was not to provide them with medical care free at the point of use. Before 1948 hospitals had arrangements in place for this to be guaranteed to anyone for whom they decided paying would cause financial hardship; there were medical clubs that paid a doctor on behalf of their working-class members and it was not uncommon for a doctor's conscience to render him (or occasionally her) unable to charge poorer patients. What the NHS changed was that it removed entirely questions of payment from the doctor–patient encounter. Moreover, it enshrined within commonly held notions of British citizenship that this should be so. This was especially important for women. A mix of putting husbands and children first and worry about being able to pay the doctor or afford medicines had long discouraged many people from prioritising their own health complaints. The early days of the NHS brought about a revelation in the scale and seriousness of health problems British women had simply being putting up with for years. I gained some insight into some of the pre-NHS mixed economy of healthcare when my Nan recounted her experiences to me and I wrote my book in the hope of answering a question she asked me over a decade ago. She told me of the ‘dispensary ticket’ system she remembered from her childhood. As a small child in the 1930s, when her father was sick she walked from the east of Bristol to the north to go cap in hand to the vicar to get a ticket, then down into the city centre to the dispensary where tickets could be cashed in for medicines, which then needed to be taken home. In total, over six miles up and down some serious hills. Why, she asked me, was this necessary? Why was there not a National Health Service so he could simply see a doctor? The figure appointed to administer the hospital payment schemes was the Lady Almoner. She would later become a medical social worker, but initially focused questions of payment. The hospital hired almoners to make sure the majority of respectable working-class patients made some financial contribution, both a useful source of income and new marker of good citizenship and being prepared to pay their way. The almoners themselves, however, often put more emphasis on making sure those contributions were not too high and poorer patients were exempt. They also policed the boundaries of this free or heavily subsidised system, weeding out middle-class patients who could afford to pay a commercial rate for a small number of private rooms. Otherwise, their admission was seen as an abuse of charity. The defining feature of the NHS is that it is free at the point of use. But those private rooms for middle-class patients were kept as pay beds for those who wanted to go private in NHS hospitals. It was only during the first three years of the NHS that all prescriptions, dentures and spectacles were free. Payment has always had some place in our free health service, but we’re right to be sceptical of each new plan to extend payment. Maintaining the incredible popularity of a ‘free’ health service in the twenty-first century is partly about making sure the place of payment doesn’t go too far and undermine people’s belief in the NHS. 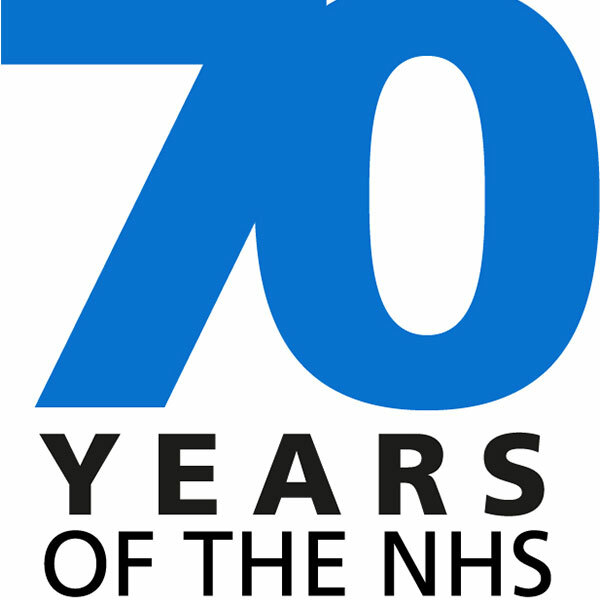 Despite almost continual reform, the NHS as a provider of healthcare principally free at the point of use has so far survived for seven decades. There is, therefore, no escaping the significance of the ‘appointed day’, 5 July 1948, when this new health service came into being, three years to the day from Labour's surprise election victory. And long may it continue. Dr George Campbell Gosling is a social, cultural and political historian of modern Britain at the University of Wolverhampton's Faculty of Social Sciences.